Our Mission: "To improve the livelihoods of disadvantaged people in developing countries, benefiting local community projects and keeping alive traditional skills that would otherwise be lost." 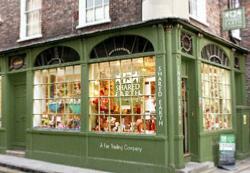 Shared Earth began as a small shop in York in 1986. Jeremy Piercy, founder and Managing Director, travelled to India after leaving school and wanted to do something to help redress the imbalance of wealth in the world, work together with people from different cultures, and at the same time earn a living. Fair Trade was the obvious answer and the original shop contained a wide mix of products from Asia, Africa and South America. Also high on the agenda was addressing environmental problems and the shop was an excellent way of making recycled and sustainable products available and publicising the issues. Fair Trade gifts were in high demand so Shared Earth started introducing its own brand products, both for its shops and wholesale, initially with a range of recycled paper greetings cards, designed by a local artist. Soon T-shirts, writing sets and stationery items were being produced and the designs were then used to make Fair Trade pencils, windchimes and other gifts in Bali. Shared Earth also became the distributor for an excellent Fair Trade organisation in the Philippines, which specialises in handmade paper. Shared Earth now imports its own unique home and giftware, jewellery, fashion accessories, wood, ceramics, paper, soapstone and kids ranges making them the largest retailer and wholesaler of Fair Trade products in the UK. 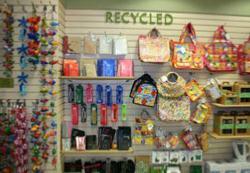 Our policy is to provide quality, design-led products, not just to those who are already aware of Fair Trade principles. With Fair Trade sales showing no sign of slowing, more and more employment is being provided for artisans in developing countries, many of who would otherwise be out of work. At a time when global conflict seems also on the increase, Shared Earth's partnerships with producers are an invaluable way of building bridges, showing that people can work together for mutual benefit, no matter what their race, religion or culture. We monitor our performance regularly against the 10 principles of Fair Trade set by WFTO for Fair Trade organisations.